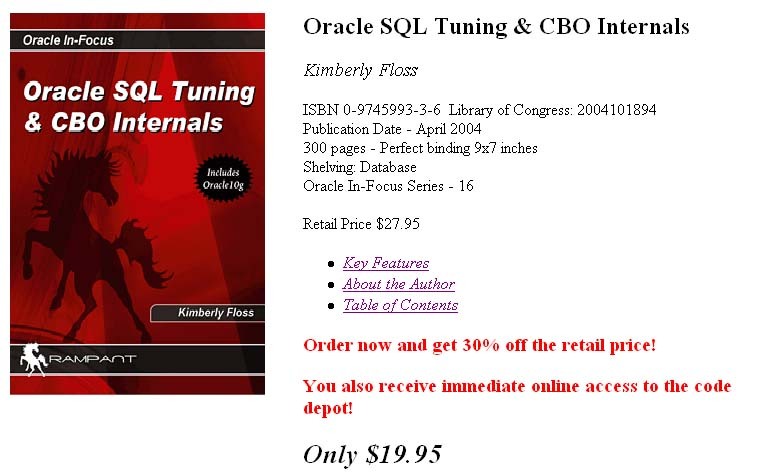 Sure to be the premier book on Oracle SQL optimizer, CBO internals and SQL tuning! 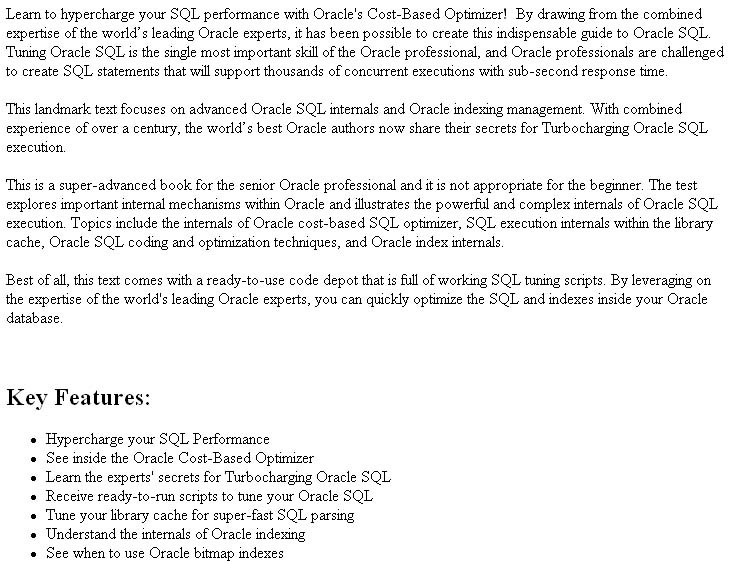 If you want to seriously supercharge your Oracle SQL optimizer, this book is it. The Oracle SQL optimizer professional will find this CBO book on high performance tuning and Oracle SQL optimizer an invaluable source for many years to come.